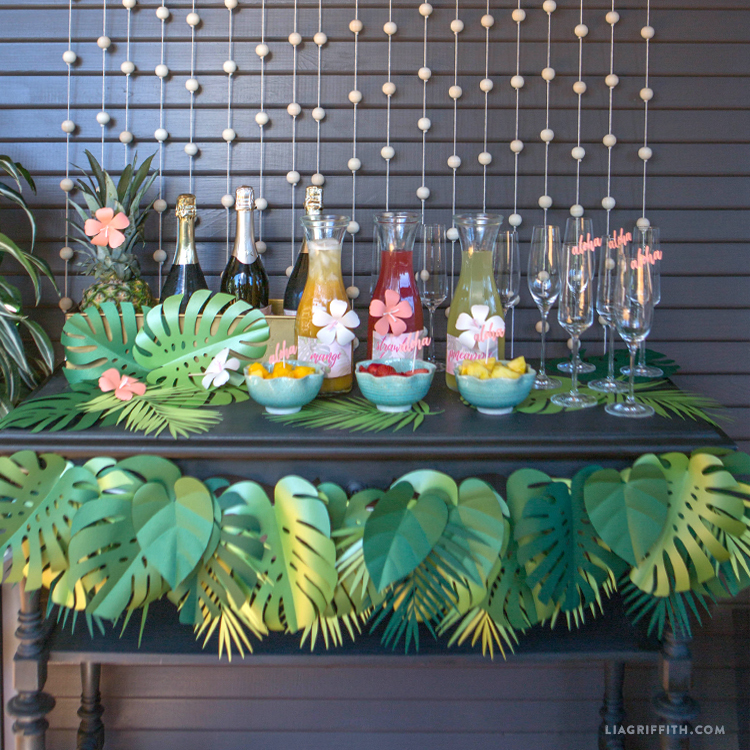 Get Your Party Sizzlin' with This Tropical Paper Leaf Garland! 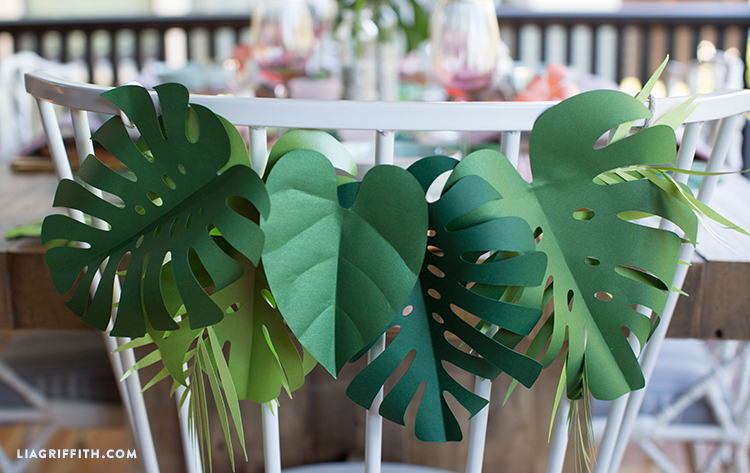 If you’re hosting a scorchin’ summer party, then you’ll definitely want this tropical leaf garland on your decor to-do list! 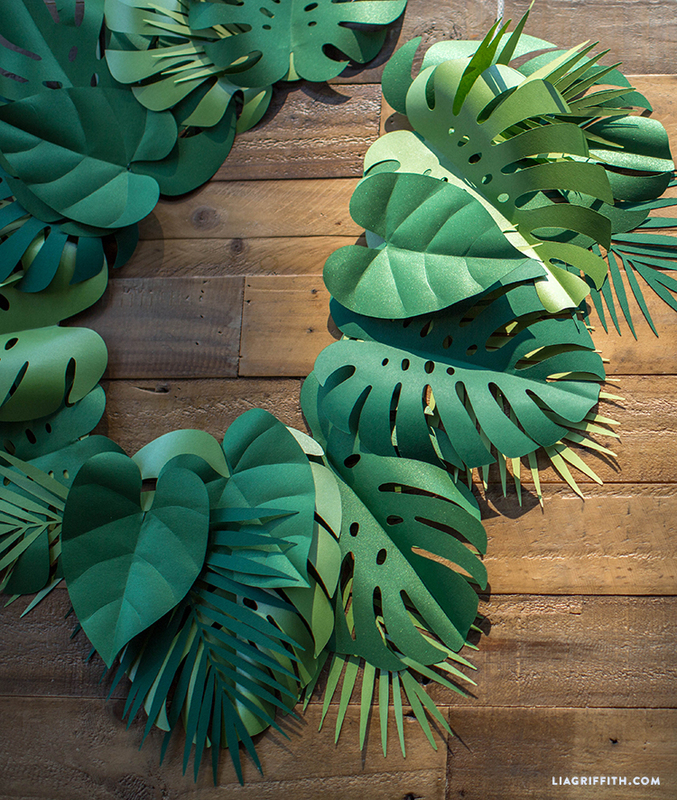 Made with three types of paper – metallic, POPTONE, and basis color – this incredible craft uses various leaf cutouts to create that 3D look. And when you make your DIY decorations pop!, your party will definitely be remembered. 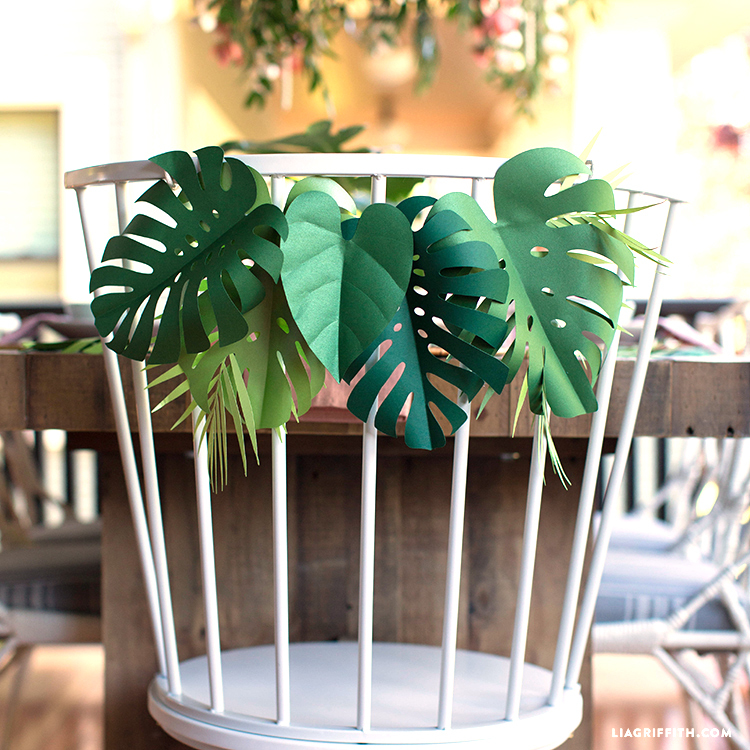 The cool thing is, this leaf garland is super simple to make! All you do is gather the tools and materials listed below, then download the SVG or PDF templates. After that, follow the steps in our photo tutorial or our downloadable instructions. If you haven’t already, become a Lia Griffith Annual Member. This gives you access to unlimited SVG downloads! 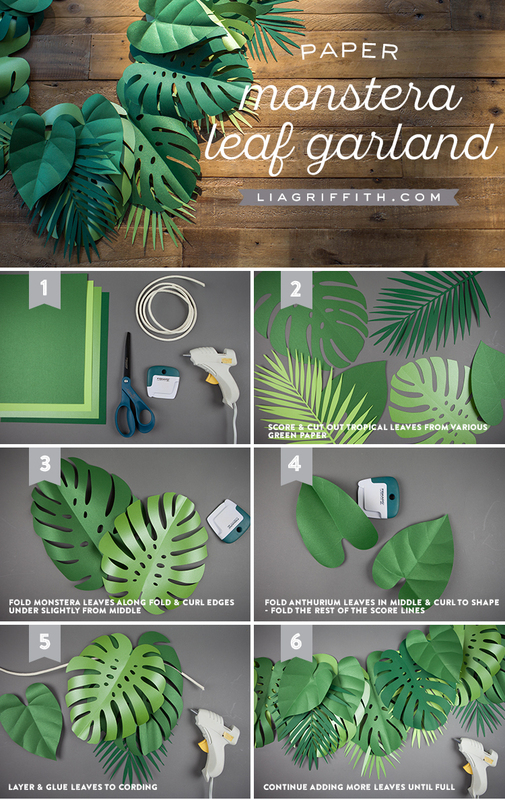 Score and cut out tropical leaves from various green paper (cutting machine recommended). Fold the monstera leaves down the middle along the score line and curl the edges of the leaves under slightly from the middle. Fold the anthurium leaves down the middle along the score line and curl the edges of the leaves under. Then, fold the remaining score lines. Start to layer and glue leaves onto the cording, leaving extra on the ends for hanging. We glued the monstera leaves onto the cording first with the palm fronds behind, then some of the anthurium leaves on top. Continue gluing on more leaves until the garland reaches the desired length. We are here to help you explore your creativity with daily inspiration, downloadable cut files and printable templates that make your craft life easier. We believe in the power of creativity to nurture the soul and to empower us. Our designs are created with simplicity in mind and we always strive to provide you with the highest quality DIYs. Share what you’ve been up to with the LG community by using #MadeWithLia — your creativity is our biggest inspiration! The PDF template link is the same as the instructions. Both links are the same. Thanks for letting me know! The download is correct now.